Olympic and Commonwealth medal winner Daniel Purvis says deciding to represent Scotland was "one of the best decisions" of his career. English-born Purvis, 28, announced his retirement from competitive gymnastics on Monday, having won 16 major international medals. Five of those were for Scotland at the 2014 and 2018 Commonwealth Games. "To stand there with the Scottish national anthem was amazing; I was tearing up," Purvis said. "It just seems like yesterday and it's a surreal feeling knowing that I won't be representing my country now. "My mum's from Dundee and I've got a lot of family up there. That's where my Scottish career started and I've loved every step of the journey. Every time I go to Glasgow, the reception is amazing. "It was one of the best decisions in my career to join Team Scotland." Purvis won bronze, silver and gold at the Glasgow 2014 Commonwealth Games and followed that with two more bronze in the Gold Coast four years later. "It's very emotional listening to the list of accolades," he told BBC Radio Scotland. "When I'm in the sport doing it, it's just one competition after another, but now that it's all finished and the dust has settled, it's very emotional and amazing to look back on with pride. "The Olympics was unbelievable and such a shock. As the competition progressed, we realised we were on for a medal and it was incredible to stand on that podium with my team-mates. 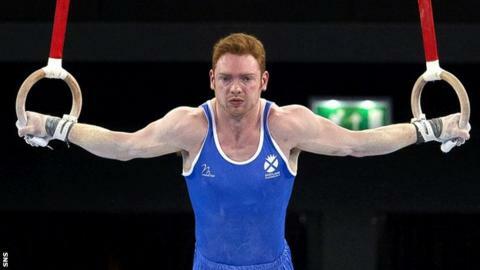 "Equally unbelievable was the Glasgow Commonwealth Games, getting that historic team silver. To top it off with individual gold was amazing." Purvis also encouraged younger competitors, saying: "Enjoy it and remember why you're doing it. It's not an easy sport and it's got its highs and its lows. "If you love something, you've got to work hard at it,and be positive."